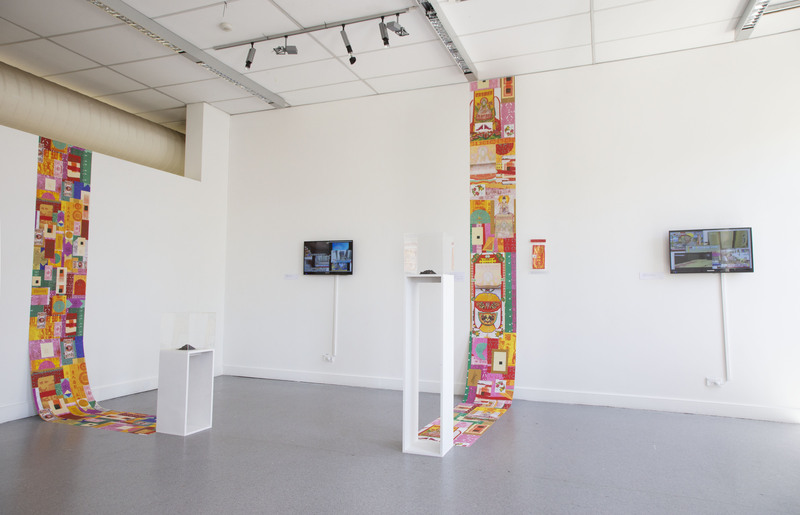 Reconsidering Time in the Ritual of the Joss Paper (2018) is a photomedia installation investigating the ritual of burning joss paper as a practice that threatens to lose its rich cultural knowledge in the designs of the joss material during its often-rushed performance. Defining the ritual of burning joss paper as an intangible cultural heritage that informs aspects of Taiwanese identity, this project calls for more time in the ritual by drawing attention to the joss paper materials and raising an awareness about its complex social connotations through an archive of Taiwanese media reports. 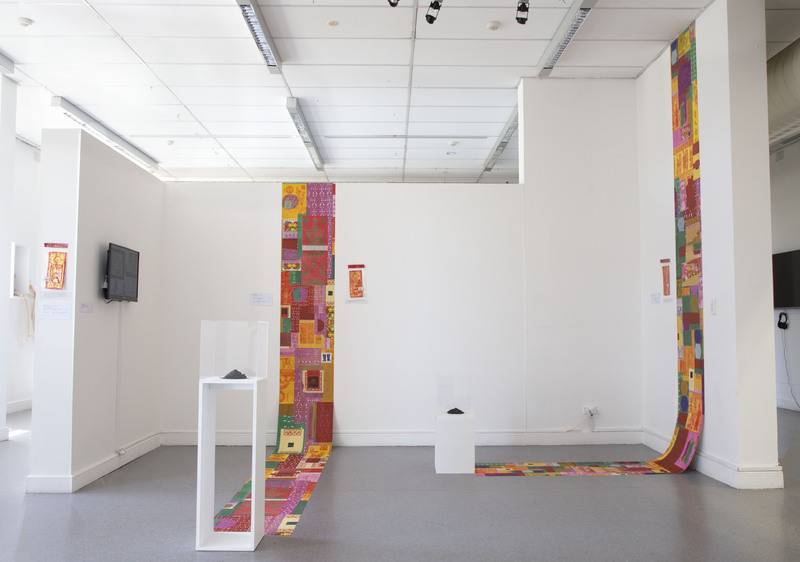 Suspending aspects of the overlooked cultural practice, each component of the installation seeks to encourage a more meaningful engagement and recognition of its place in Taiwan’s cultural heritage. 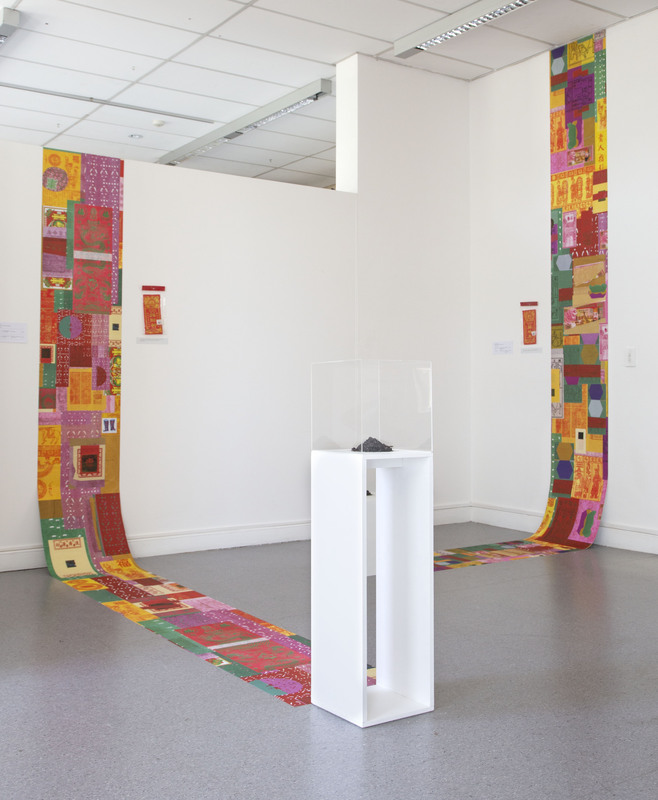 The installation is made up of three components: 5 collaged image banners with 5 displays of joss paper ash from 5 different prayer packs, a digital archive https://josspaper-archive.github.io of scanned material from the 5 prayer packs, and 3 looped video works of various media reports of the last decade that present ongoing discourses and debates surrounding the practice. 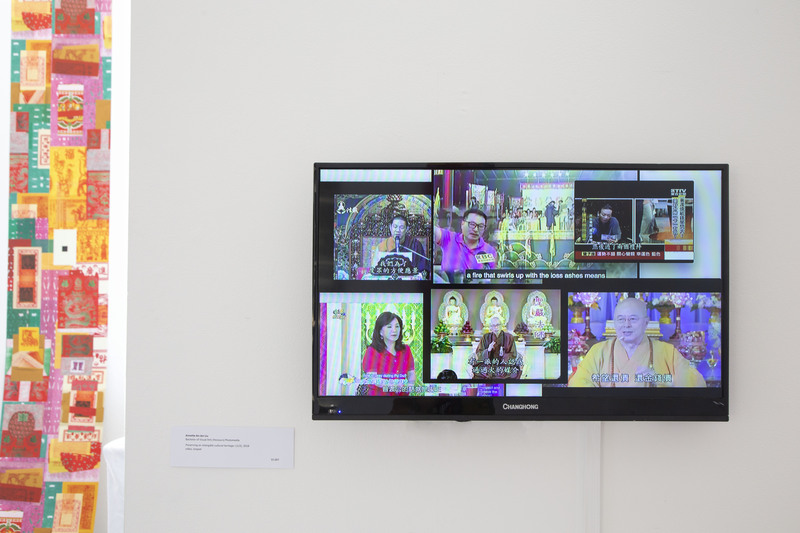 The video works are screen recordings created from collecting Taiwanese media reports of the last decade on the ritual. 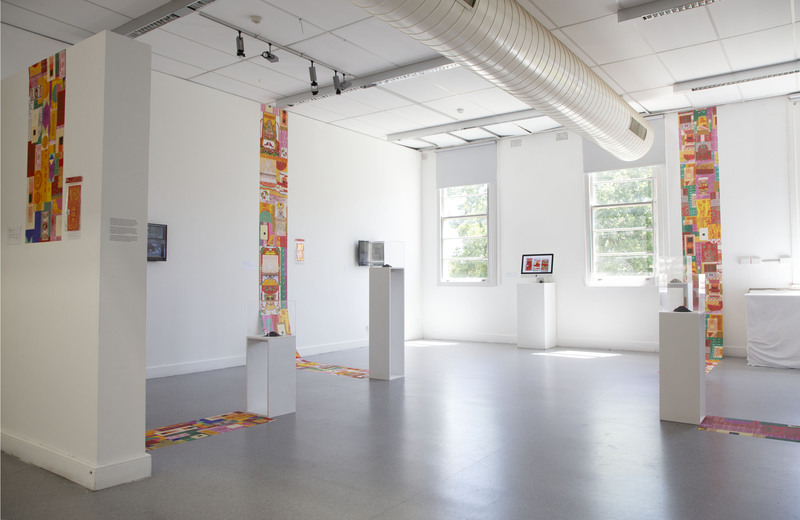 Together, they significantly present various ongoing discourses and debates surrounding the practice with their social commentaries either encouraging the public ritual as an important part of tradition or critiquing and evaluating its place in contemporary society. The first group https://vimeo.com/304970468 showcases the contradicting place of this ritual as part of Taiwan's largely Taoist-based folk religion, amongst the country's syncretism with Buddhism. 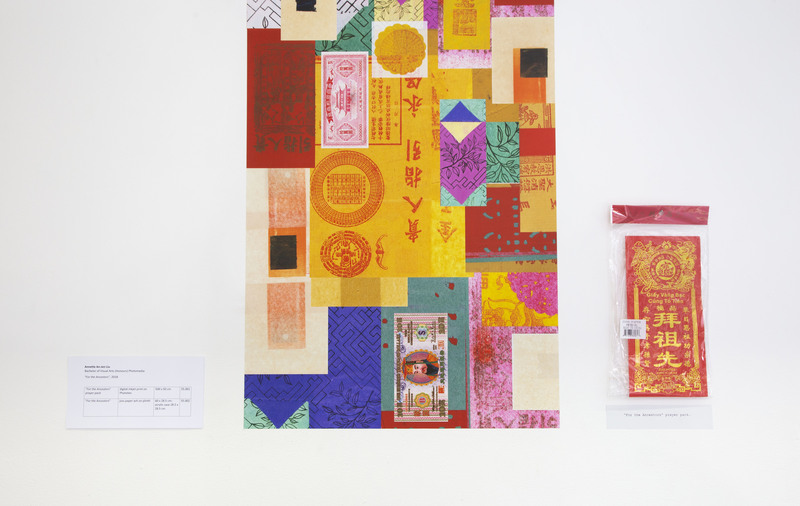 The second https://vimeo.com/304974346 focuses on the pollution and health concerns of the ritual amongst growing environmental concerns, and the last group https://vimeo.com/304975317 examines the ongoing traditional production of joss paper in the south of Taiwan. It is a prideful industry passed down through generations with their handmade methods, their rebellious history against Japanese colonial rule that banned joss paper production, and now, their competition against cheaper, faster joss paper from Chinese and Southeast Asian manufacturers. This import of joss paper raises issues of "fake" joss paper and integrity to the deities with paper that are not properly hand-stamped or hand-glued with sheets of foil but are instead printed digitally or have plastic on them. 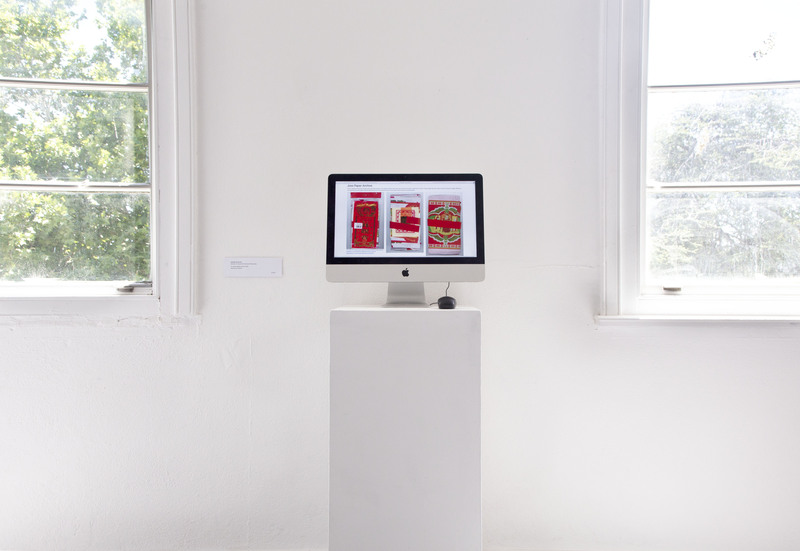 Presenting this body of work in a Western exhibition space, this project also considered the ritual of the exhibition as a site for contemplation. 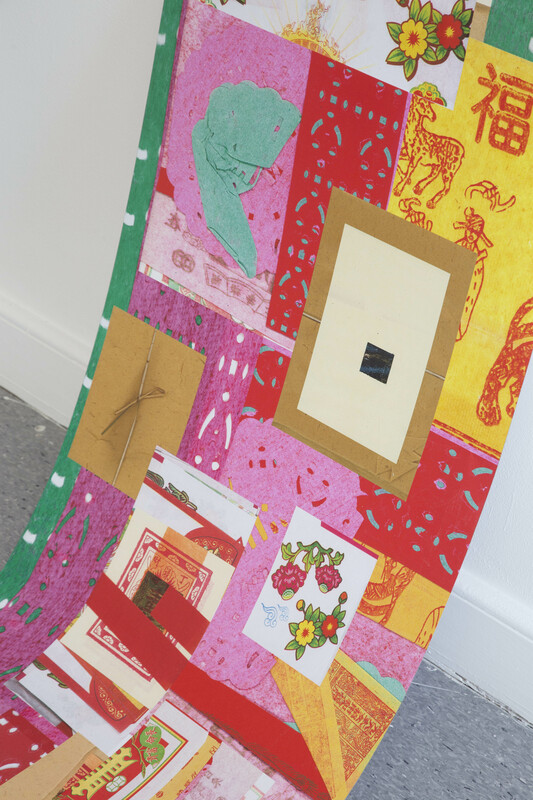 When encouraged with more time, this function can create further modes of connection to communicate and affirm cultural diversity within Western canons of art and aesthetics. 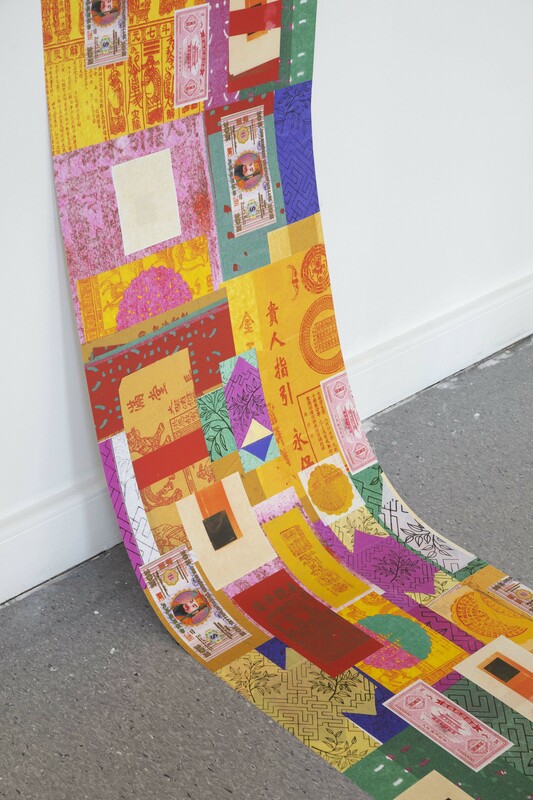 My written thesis, Reconsidering Time in the Ritual of the Joss Paper and the Ritual of the Exhibition, explores this idea in more depth.. 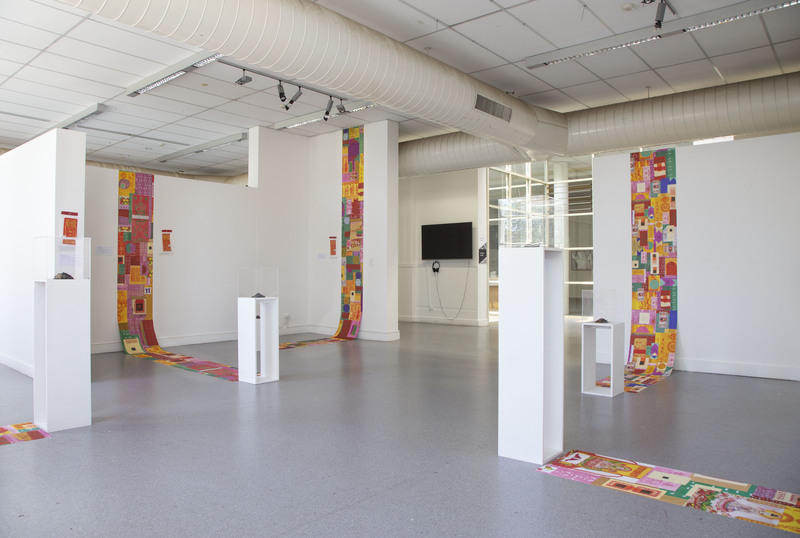 This project received an Exhibition Award from Tributary Projects , a Residency Award from PhotoAccess and was nominated for the Perth Institute of Contemporary Arts’ (PICA ) Hatched: National Graduate Show 2019.